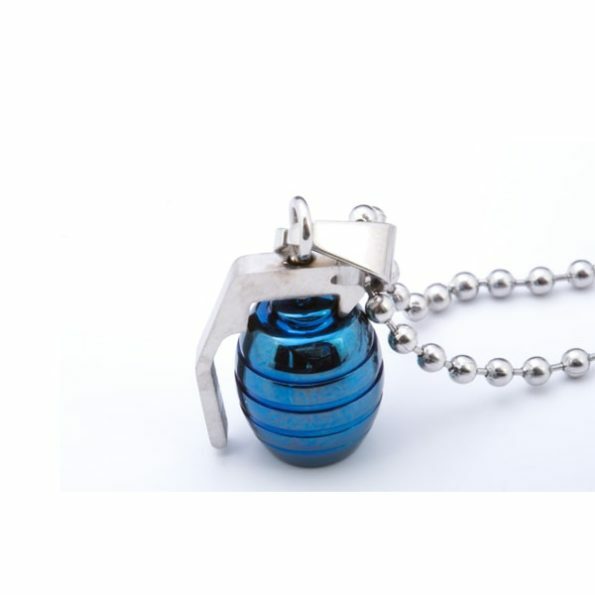 Make true sense of style with this highly demanding blue hand grenade pendant from Tag Twenty Two. Show the world about your choice and show them that you are a real army fan. These hand grenade pendant is Crafted from stainless steel measuring 27.5 inches and a silver ball chain. Buy Now!! !